The Church has often had a particular solicitude for the youth : she considers it as a grain of holiness. Generations of Christians have been marked by congregations of teachers, youth clubs or scouting. We keep as well in memory some great figures of educator priests like Don Bosco, born to be an educator who, haunted by the misery of the working class youth in northern Italy of the 19th century, founded the society of the Salesians and the sisters of Mary Help of Christians, totally dedicated to the service of the youth; or more recently, Daniel Brottier, who in 1923 reopened the institution of orphan apprentices of Auteuil, a work dedicated to the education of youth with social difficulties; or Father Seven, one of the co-founders of the Scouts of France and the International Office of Catholic Scouts in 1920 together with the canoness Cornette. But this quite well known figures of educator priests are only a pale reflection of all the priestly action among the youth, especially since the modern era. But fundamentally, why can the priest be association with education? What addition does a priestly presence bring to the education? In what exactly consists the role of the priest vis-a-vis the youth? The principal mission of the priest is to represent Jesus the Saviour who educates man in the faith, that is to say, he takes them where they are in order to raise them and make them perfect in their relations to God. The priestly vocation is thus in its very essence a vocation of an educator and its particular domain is the spiritual life, the life of friendship with God. 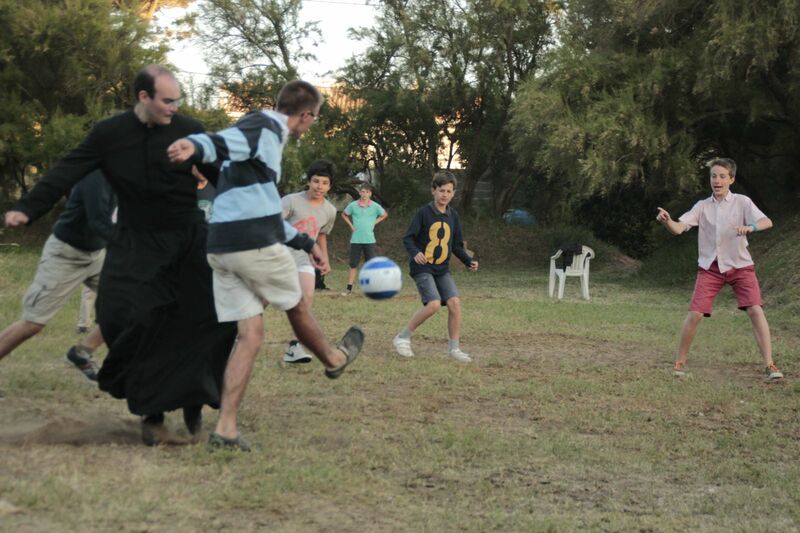 Among the numerous formes which the ministries of the priests might take, the youth occupy an important place since they represent the future of a community, of a people, of the Church. The young person thrown into life finds himself confronted with interrogations which he cannot meet alone. He discovers little by little the love in all its forms: the one which invites him to master his body, the one which directs him towards the other, and the one which accomplishes him in God by charity. His faith matures, his intelligence develops. Like a young sprout which contains in itself all the seeds of splendid fruits, the young person needs a tutor who comes to direct his growth in the right direction, the direction of the good. The mission of the educator is precisely to play this role of a tutor. It is first of all the specific task of the parents to give the children the necessary elements in order to become free and responsable men and women. It is also the role of the priest insofar as he completes the education of the parents, particularly in that which concern the faith. The young people who are entrusted to him deliberately leave the family in order to learn in another way. The educator priest holds thus the place of a father among the young which at the same time carries a certain moral security and leads little by little the youth to engage themselves in life according to their own vocation. Like a father of a family, the educator priest, while ensuring the role of a tutor, leads the young person beyond his habitual securities in order to lead him there where he hasn’t already gone. He has therefore a particular vigilance to the different talents which God has placed in each young person in order to make them fruitful and put them at the service of the whole Church. Thus, the educator priest isn’t father in a carnal way, but by the spiritual fecundity that stems from his mission at the service of the youth. To summarize, the priest is educator by his very priestly mission. Certain priests are it in a particular way for the youth as accompaniment of the education received by the parents, or even as an indispensable help for families in great difficulties, especially when it comes to the faith. The educator priest acts as a father for his children insofar as he transmits to the youth the life of God. The priest is essentially an educator. 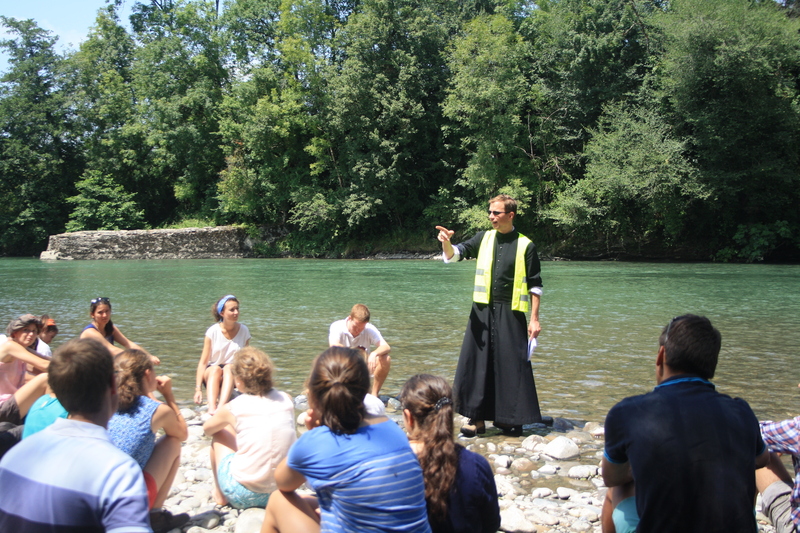 The priest on mission among the youth. Main page of "Becoming a priest"
Holy Week 2018 : Discernment retreats (young men) LIFE AT THE SEMINARY: A MONOTONOUS LIFE?